A native of Traiskirchen, Austria, Otto Vogl (b. 1927) earned an international reputation as a polymer scientist while working with the Polychemicals Department at Du Pont. In June 1970, he was recruited to join the relatively new Program in Polymer Science and Engineering at University of Massachusetts Amherst, where he has continued research on the structure and organic chemistry of polymers, focusing on macromolecular architecture and macromolecular asymmetry (chirality), among other topics. A prolific scholar, he has contributed over 630 articles, received nearly fifty U.S. and foreign patents, and among many other honors, has won election to the Austrian and Swedish Academies of Science. The Otto Vogl Papers consist primarily of scholarly writings and professional correspondence, along with numerous master’s theses and doctoral dissertations completed under Vogl’s supervision and books written by Vogl’s wife, Jane C. Vogl. In November 1840, the prominent New York mercantile firm, Josiah Macy and Son, contracted with Samuel Wells to act as an agent in leasing land in Hatfield, Mass., to mine barite. 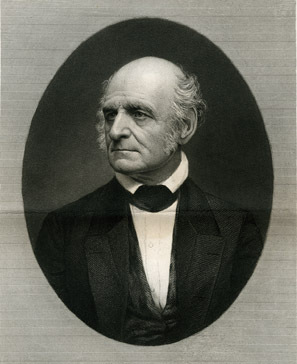 Wells, a resident of nearby Northampton, consulted with the renowned geologist Edward Hitchcock of Amherst College to locate the appropriate mining site, and then, over the next two years, he negotiated the leases and prepared for the start-up of mining. Ultimately, the presence of the lead ore galena rendered the barite unfit for use as a whitening agent. The three dozen letters written to Samuel Wells, mostly by his employer Josiah Macy and Son, document the brief and ill-fated effort to start up a barite mine in Hatfield, Mass. Although some of the letters deal with the barite itself, most concern negotiations over locating the proper mine site and obtaining mineral rights and land leases. One of the most prominent and vocal scientific critics of fluoridation, the biochemist John Yiamouyiannis (1943-2000) spent over three decades fighting the professional and political establishment. A graduate of the University of Chicago with a doctorate in biochemistry from the University of Rhode Island (1967), Yiamouyiannis became interested in the health effects of fluoride while employed as an editor with the Chemical Abstracts Service. His growing opposition to fluoridation, however, led to conflict with his employers and after being placed on probation in 1972, he resigned. Becoming a key organizer in the antifluoridation movement, he served at various times as the Executive Director of Health Action, the Science Director of the National Health Federation, founder and president of the Safe Water Foundation, and editor of the journal Fluoride. He also ran for the Senate from Ohio and twice for the U.S. Presidency on small party tickets, never garnering more than a handful of votes. Yiamouyiannis died of cancer at his home in Delaware, Ohio, on Oct. 8, 2000, at the age of 53. Offering important insight into the antifluoridation movement in the 1970s through 1990s, the papers of John Yiamouyiannis offer a perspective on an unusually prolific and determined activist. The collection contains a large quantity of research material and correspondence relating to Yiamouyiannis’s antifluoridation work, and perhaps most importantly an extensive series of transcripts relating to civil cases in which he was involved.